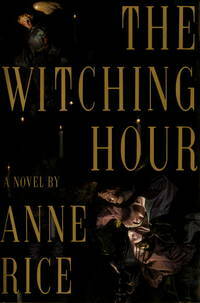 Home > Waverley Books > THE WITCHING HOUR. NY: KNOPF.. 1990. First Edition. 0394587863 . SIGNED by Anne Rice on the title page. Near fine in a fine dj. (Faint and tiny soil spot on bottom edge. Hint of foxing at top edge) .